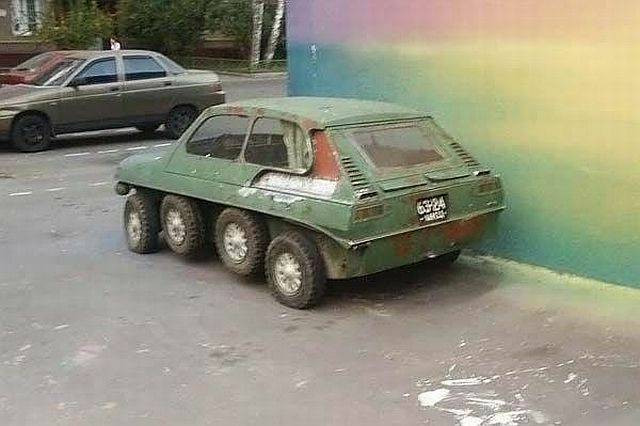 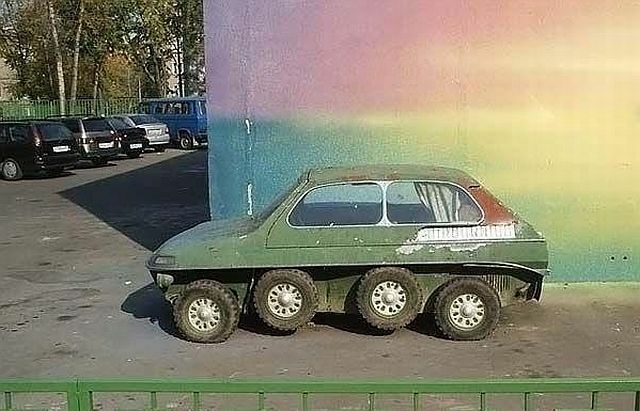 This weird car was found somewhere in Russia. 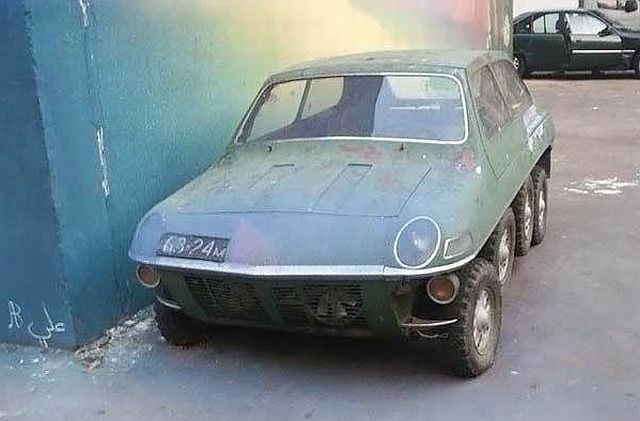 it's fugly! 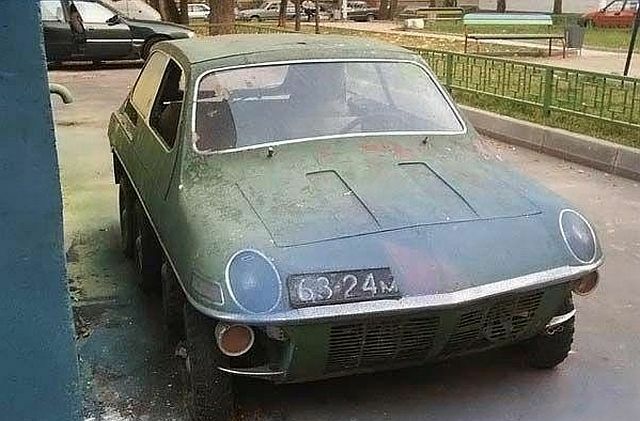 why is it so many disgusting fugly thing are found in Russia and China?! 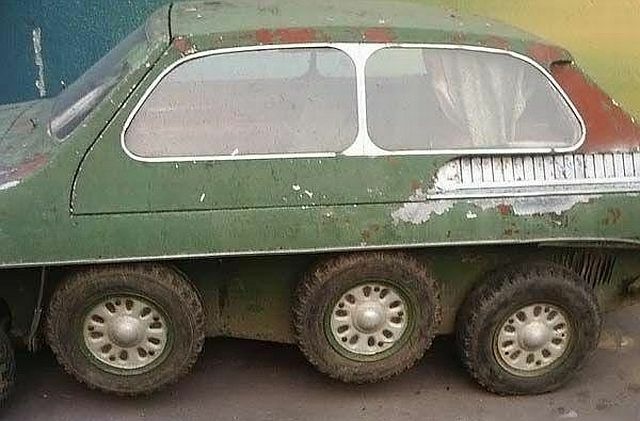 whats the other set of wheels for?